Can Snapchat get more young people to vote? 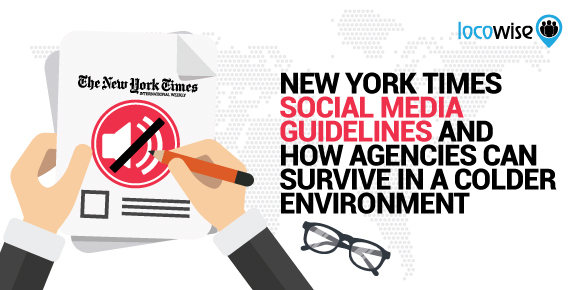 Snapchat has been a mainstay in social media news for years now, and that hasn’t always been for a good reason. The incredibly popular app (with the younger generation at least) has been busy trying to become an essential app, when the market hasn’t always seen it that way. Now, it’s seemingly becoming the ‘app of ideas’, finding new ways to engage that young audience. And there is no bigger gap for a younger audience to fill than in US elections. The midterms are coming, and votes are important. However, getting young people registered to vote is even more important. And Snapchat has a young user base. Generally speaking, the user base for the app is aged somewhere between 18 and 24 years old. 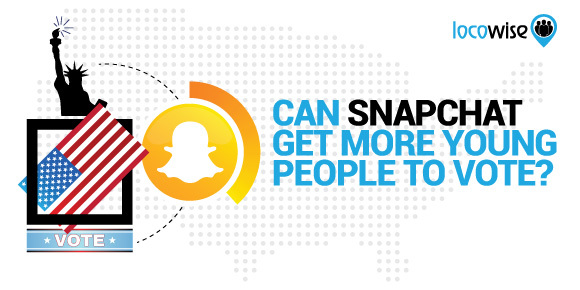 Recently, Snapchat did something rather special, it encouraged its audience to vote. All users had to do was hit a button on their profile. That button led to a Turbovote page, which exists to help people know when elections are coming, and how to vote. While the campaign ran, it encouraged users to vote with video ads too. It was an important and worthy thing to do, and it meant that 0ver 400,000 young people registered to vote through Snapchat alone. Voting is one of the most important forms of self-expression we have in America. So today, on National Voter Registration Day, we’re offering a new way for our community to register to vote quickly and easily – right in Snapchat with TurboVote! If you’re 18 years old or over and in the US, you’ll find a link to register on your User Profile page starting today. You’ll also see a video message from Team Snapchat, and fun new creative tools like nationwide Filters you can use to encourage your friends to register. Plus, don’t forget to check out Discover for Stories about the midterm elections and voter registration efforts happening across our communities! Almost definitely. Of course, just because someone registers to vote it doesn’t mean that this is what they will do. But Snapchat is amazing when it comes to engaging young people, and this latest push to engage has the added weight of a worthy cause behind it. It’s hard to see how this could go wrong. The ease of use and the low barriers to entry (just tap a button on your profile and you’re pushed towards registering) makes it one of the better ideas around political engagement for as long as we can remember. And again, it’s that young audience that is the motherlode for politics. What if it becomes too political? A politicised social media platform is not a good thing. Supporters can argue that the app is only allowing people to register and not trying to sway their vote. But for how long will that remain the case? One of Snap Inc’s partners happens to be The Washington Post. A recent study found the Washington Post to have a liberal bent when it came to US politics. Nothing wrong with this of course, as long as you’re liberal. And then there is Good Luck America, a show produced by Snap, and essentially the platform’s first TV show. This is wildly popular, has a young reporter, and involves traveling the country to talk to ‘real’ people about real political issues. It’s popular because it taps into a liberal audience base. We’re not saying this is a problem, but the moment Snap gets accused of partisan politics is the moment social media gets a bad rap when it comes to politics. Probably not. The USA contains millions of people, and a 400,000 uptake just to register to vote is a drop in the ocean. But if we start to dig a little deeper, and the project continues next election, and the next, and so on, we could be looking at a system that drip feeds a partisan approach. All it takes then is for another platform of the opposing view to jump on the bandwagon, and you have party politics happening on social media. In the meantime, we have a system that is actually mobilising young people to the polls. This can only be a good thing. Let’s hope the incredibly easy to use interface and the amazing power Snapchat has to engage young people becomes a force for good. At the moment, it definitely looks like Snapchat has found a way to be very useful, and to do a genuinely good thing. Would you like some of the best social media metrics available at your fingertips? No problem. Get in touch and we’ll give you a free week of Locowise.